"You can get the most creative, expensive toppings in the world, but if you put those together on a mediocre crust, the customer will say, 'Oh, that pizza was very interesting,'" he said. "But they will not say, 'That was so good, I can't wait to come back.'" -- Peter Reinhart, Author of American Pie. 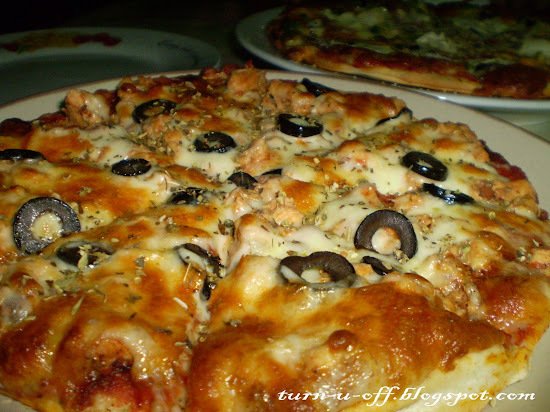 "When you make a pizza on a great crust, suddenly you've got the makings of something memorable. That's what artisans do." 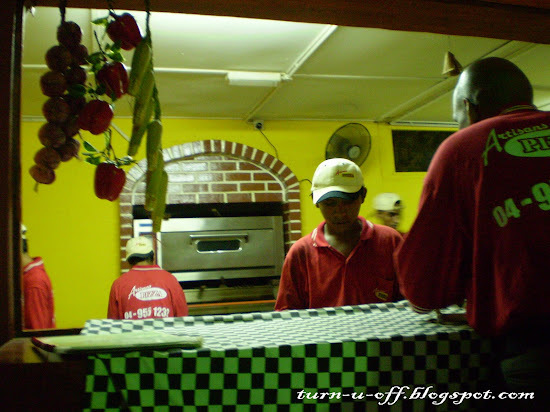 Every night, the tiny Artisans Pizza is filled with customers patiently waiting to experience one of the best pizzas (by far) in Langkawi. We had to wait for 15 minutes to get a table but worth every second. 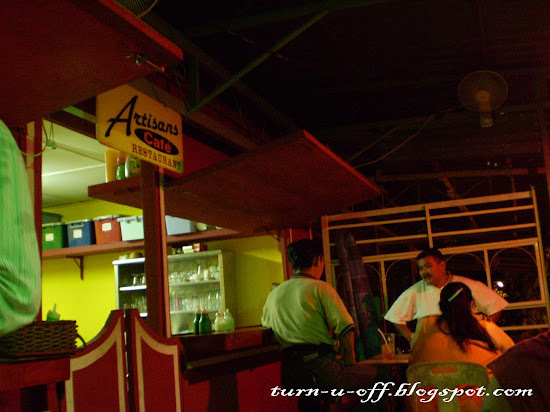 You can dine in or takeaway and they also deliver to guesthouses and the beach. 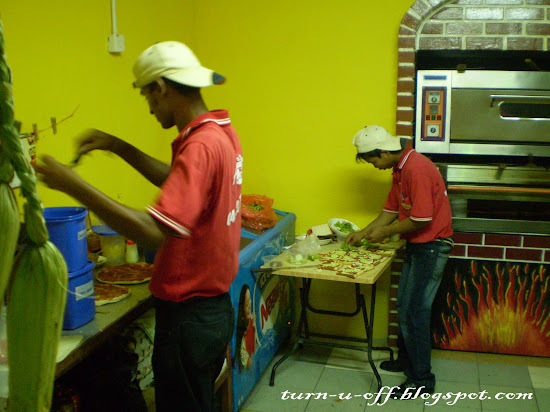 They made the dough themselves and baked the pizzas with ovens on "wood-fired brick". 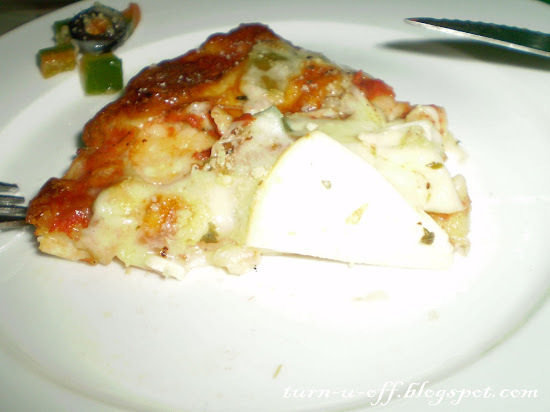 We ordered two pizzas for supper and this is my favorite pizza with milky taste of cheese, extra cheese! It was marvelously delicious. The crust was, to say the least, outstanding. I found a note written by Ralph on 19 April 2008, to Mr. Dutch! 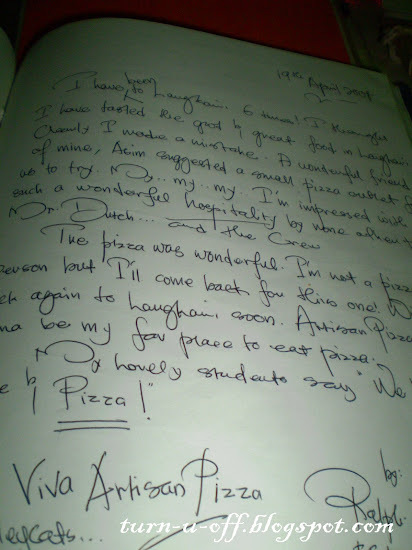 Here, you will find a few custom scrapbooks contain handwritten words of memories by people (from around the world) who dined at Artisans Pizza. According to owner Mr. Dutch, without the words, the memories are not captured and recorded. Lili is one of the most devoted fans of Artisans Pizza; she can visit this place for breakfast, lunch, dinner and supper without getting sick and tired of it. LOL! Indeed, it's one of the very best pizzas I have ever had! Look at the big ol' piece of mozzarella... ooooola-la! Now I understand the lines outside the cafe every night. A good pizza is indeed hard to come by. Those look so yummy! Even the restaurant doesn't look so grand as its pizza! The pizza looks very succulent lorrr. 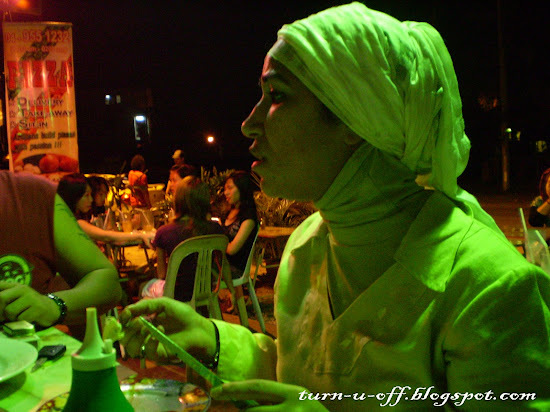 Somemore use wood fired oven, ......wooooo can imagine the nice smell, yummy. wow, the pizza looks scrumptious. who can resist??? those pictures make you so hungry, huh? ;-) You know, I won't go in a place if I don't see anyone else..
yeah, only a wood fired oven gives that unique flavour that cannot be reproduced in a normal kitchen oven. I guess no one can resist..LOL! It's heavy rain here and I just woke up! hehe..
another yummy yummy posting on PIZZA..last week empty street did post on pizza...this really motivate me to look for real PIZZA...for to nite I'm having PIZZA for my dinner....emmmmm enak deh. Pizza baked in wood fire tastes great, but..it's by Mr.Dutch?? 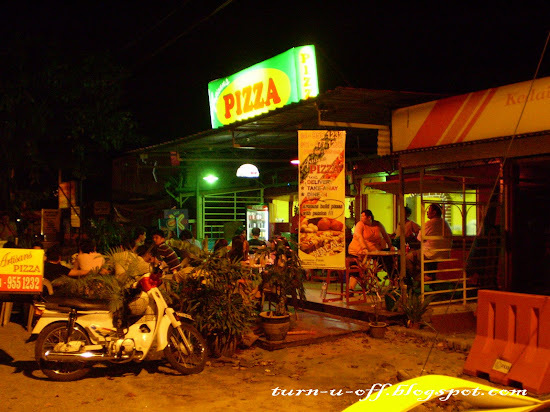 Monica, if you come to Bali or Jakarta, you should try Pizza from Trattoria (Trattoria actually means an '-informal- restaurant', but the Italian owner named it that way. Weird choice :-D)!! The taste of the pizza there is authentic and so real, even my Italian friend admitted it. 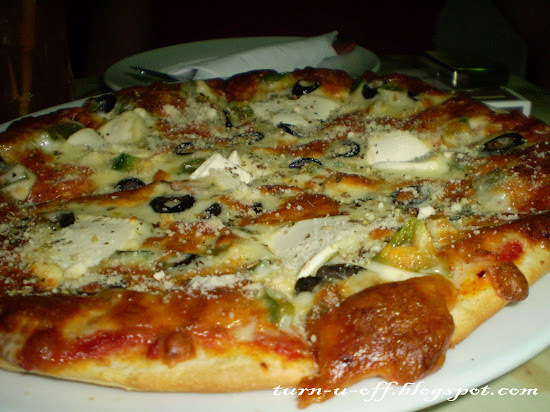 Thanks for sharing about the Pizza from Trattoria Ori! I'd definitely love to try the pizza there one day..
the setting is like nobody will expect the pizzas taste like real pizzas! LOL! A very delicious pizza!!! Hope to try and taste it!